It can be really handy to use Siri to create events and reminders — so much faster than opening the app and doing it manually. However, you need to be careful how you word your request, because Siri will sometimes mix things up: creating an event when you wanted a reminder, and vice versa. 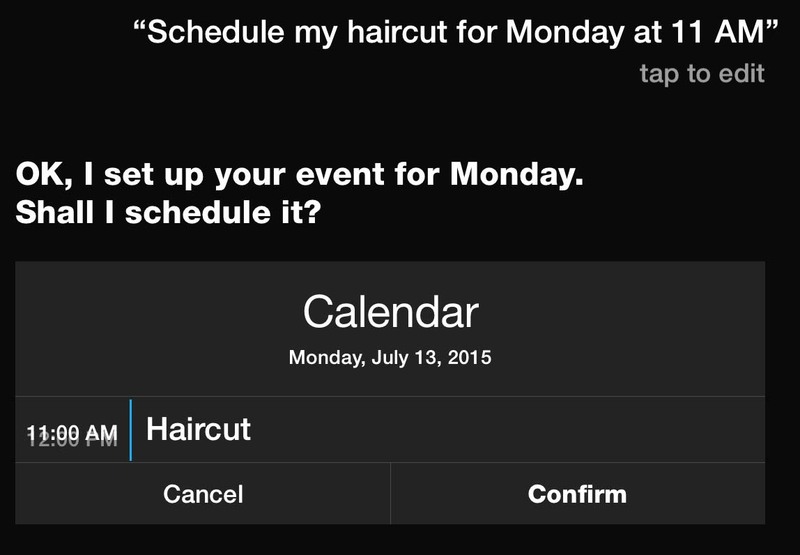 To ensure that you get a Calendar event, begin your request by using the verb "schedule," such as "Schedule my haircut for Monday at 11 a.m." Siri will reply, "OK, I set up your event for Monday. Shall I schedule it?" And then you're presented with your Calendar appointment and have the opportunity to confirm or cancel. To ensure that you get a Reminder, begin your request by using the verb "remind," such as "Remind me at 10:30 on Monday to go to my haricut." 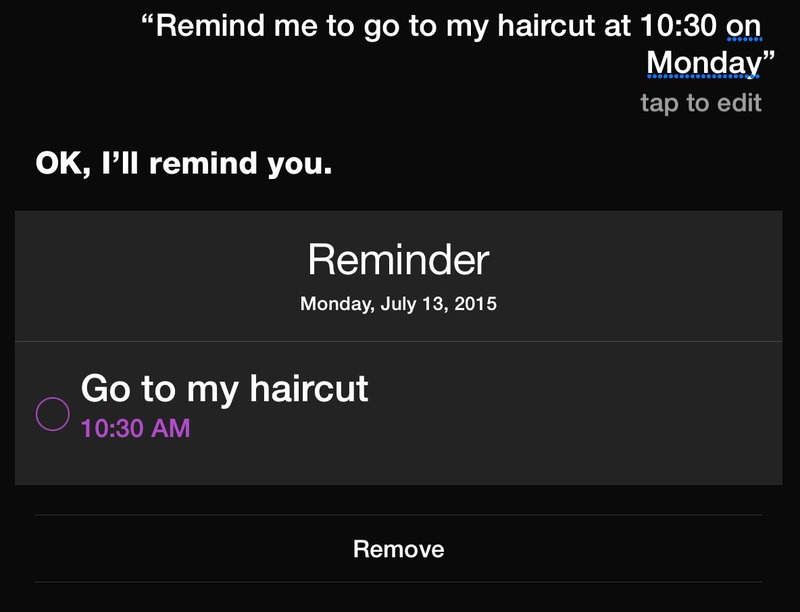 Siri will reply, "OK, I'll remind you" and will show you your reminder. Note that the Calendar app does allow you to set an alert prior to an event, but you can't create Calendar alerts with Siri.